Large can diced or whole tomatoes. Mine had no salt but Italian Spices in it. 1 cup of uncooked pasta. Now normally I would use Macaroni, but I picked up that package of pasta for 25 cents. I have never seen this type of pasta before, it looks like giant rice, but it is pasta. I used a cup which as per the instructions is 2 1/2 portions? Brown ground beef in a pan until no pink showing; I also soften onion and red pepper at the same time as I am lazy, so this will take a good five minutes. Drain away excess fat/liquid. HANDY TIP HERE: I POUR A KETTLE OF BOILING WATER OVER MEAT/VEGGIE MIXTURE IN COLANDER AS IT GETS RID OF MORE FAT. Put meat and veggies back in pan and add garlic, "W" sauce, Oxo, tomato paste and any other seasonings you choose and stir over high heat for a minute. Add tomatoes and rinse out can and dump that can of water in pan and bring to boil. When boiling add in pasta and simmer for 15 minutes. At this point taste and adjust seasoning to your taste. Also add more water if you think it is too "thick." There are no hard or fast rules to making this. You could add in more veggies, less meat, add odds and ends of pasta or rice, or any other grains you have on hand. Add different spices, the variations are endless. The more extras you add in the further it will go. I ended up adding some frozen veggies that I found languishing in the bottom of my freezer to bulk it up a bit and to make it more of a rounded meal. Did get a couple of stocking stuffers made yesterday. Two of each colourway. The pink ones are for the girls to put in their school backpacks. What is on the back of the covers is on the inside as well. The blue ones are for other people. 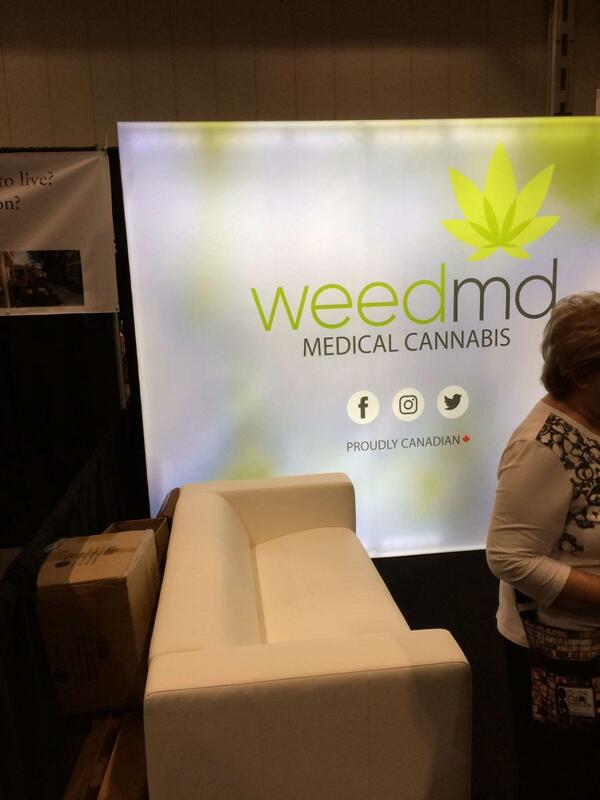 We went to the Zoomer Show in Toronto on Saturday, it caters to people 45+. Had free tickets, so figured it would be interesting, which it was. The Canada Revenue Agency was there and we had a couple of questions regarding dh's pension. I think I got more sense out of the chair they were sitting on!! Talk about evasive........whatever!! Had a free 15 minute Reiki session. I am not sure what to say about that other than her hands were hot. Did it work??? Who knows........I kept getting distracted about what was going on around me!! If anyone is an expert with Reiki please enlighten me, as I don't get it? Loved this tea towel but it was $15 which I thought was expensive. This was also a cute tea towel. Zoomer radio was broadcasting, you can listen to it here. I so need this apron...........just in case it's not clear it does say FECK OFF!!! This was our lunch, cost $11.25 for those from the British stall. Were not as good as I remember? Dh thought we should have a rest and relax here!! Glad we got in for free, it was an okay show and put in a few hours on a wet Saturday afternoon. We are member's of CARP and also receive the Zoomer magazine and think it's a good deal. Again another cute quick and easy sewing project. I used this tutorial for a Tea Wallet for your purse. This holds six teabags. I think it looks neater with just the four tea bags in it. You could use the two other pockets for sugar or sweetener. This would be ideal to take on a picnic with a flask of hot water. I also made a Sanitary Pad Holder for my purse, using this pattern as a basis. 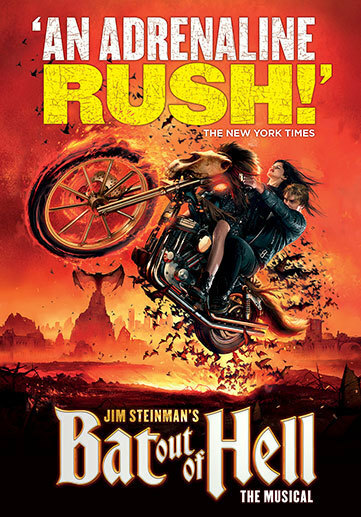 I adapted it to make it work for this project. If you make this remember to visualize which way your material will go if it has a pattern. When I looked at this, I wish I had top seamed either side of the join. It would have looked more finished and sharper. You can fit at least two or three pads in it. Again I am asking what would you think a good price for each one of these would be? For those who were asking about the material I have had it for a while. I got a fat quarter bundle a while ago and these are four fat quarters from it. I think this is one of the fabrics though. Another quick and easy gift to make. Decide which material's you want to use where. Take two pieces of the material and fold in half. The other two pieces lay them down with good sides facing outwards. Place the two folded pieces on top of the other pieces of material. Please note the material with the circles on, will be the outward facing back of the tissue cover. Make sure the two folded edges are butted together tightly. You can pin them together so they do not move, or if you are lazy like me 😋 I just ironed all the pieces well and that worked as well. Stitch all around the edges of the material using 1/4 inch seam. I then trimmed all around the edges using my pinking shears (zig-zag) to stop the edges fraying, and it looks neater. Or you could just sew a zig-zag stitch all around with your sewing machine. Notice now the darker material is on the inside of the cover. Add a package of tissues and you're all done. These are so handy to have in your handbag, or backpack. I will make a couple of these for the girls to put in their backpacks for school. Quick question now for you. If you were to pay for one of these (with a package of tissues inside) how much would you be willing to pay? I also decided to finally make a batch of Curried Butternut Squash Soup that I posted about here. That recipe is a keeper. I changed it slightly as I didn't have enough butternut squash, so I added some carrots to it as well. Well worth making and super easy to make. 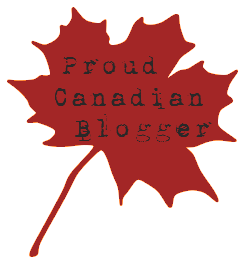 In Canada coffee shops are ten a penny in every town and city. Whether it's a large chain shop or a small independent coffee shop. A lot of Canadians cannot function in a morning without their coffee shop coffee. 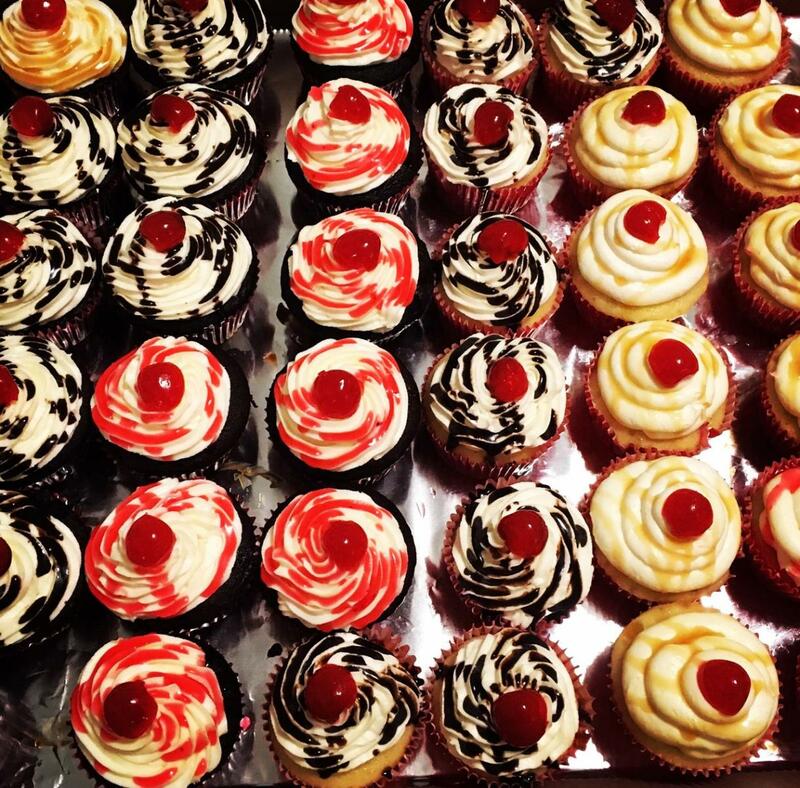 One of the best known and very popular coffee shops is Tim Horton's. 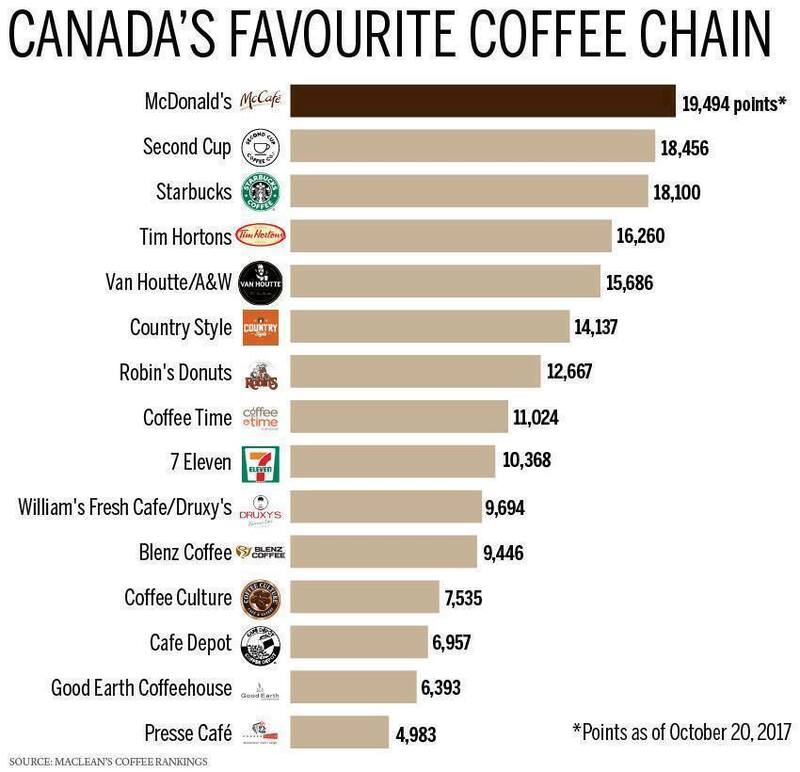 So when there was a survey asking Canadians to vote for their favourite brand of coffee, you would think that the number one spot would go to Tim Horton's? 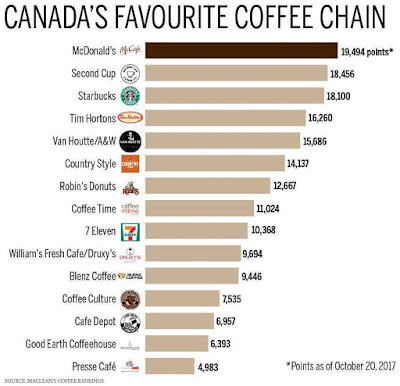 It turns out the number one brand is McDonald's, McCafe. and I for one am in agreement. I find Timmies (as that is what we locals call Tim Horton's) is much too strong for me and has a bitter after taste. I will drink it in a push. I cannot stand Starbucks at all, that is way, way too strong. We occasionally go to Coffee Culture, but more times than enough I end up having a tea there. McDonald's has come a long way in the past few years with their brand. I will say I did not like the McDonald's coffee in the States, they use a different brand. 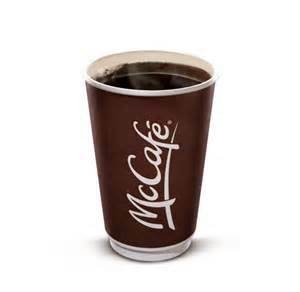 Here is a link to show you want we can get at McDonald's McCafe. If you want to see what position your favourite coffee shop brand coffee came in at, click on this link. I did enjoy the milky coffee's that you get in Britain, they are the best too my mind. In the States I liked Dunkin Donuts the best. I take my coffee with just 2 milk. How do you take your coffee? This cost me nothing but time as I had all the bits in the house. There is nothing better than sitting in front of the TV with a bowl of soup on a cold winter's night. It's made all the better when you don't burn your hands on a hot soup bowl!! I made a Soup Bowl Hot Pad using this tutorial. It's sewn with a straight stitch, so if you can sew in a straight line you can do this. The pad itself is completely reversible and it is washable. A couple of these along with a jar of soup mix (recipe here) would make a great Christmas gift. I am going to sew some more of these now I have made my first one. This article arrived in my inbox the other day all about sleep. One of my favourite things about my FitBit is the sleep app part of it. I love how it shows you not only how long you slept for, but what different types of sleep cycles you went through each given night. You usually move from light sleep to deep sleep, back to light then onto REM. You can be awake between 10 - 30 times per night, but most are so short you will not remember them. REM typically occurs later at night and has been shown to improve your mood and memory. During this stage your dreams are more vivid, your heartbeat is elevated and your breathing faster. Light sleep is very important, it makes up most of your night and promotes mental and physical restoration. Deep sleep helps with physical recovery and helps with memory and learning. If you wake up feeling refreshed you probably had a good deep sleep. On an average night I should be awake 12% to 24% of the time. In REM 15% to 25% of the time. Light sleep 40% to 60% of the time and deep sleep 8% to 16% of the time. Everyone is different. Me personally, I do best if I can sleep 9 hours per night. If I could sleep longer I could and I would!! I need my sleep. I average around 8 hours sleep per night. I also tend to fall into a deep sleep right away as per my FitBit. Add gallons of sweat pouring off me and that image above would be correct. I swear I ache in places I didn't know existed. Yesterday was the first time I had been since the end of August so to say I was out of shape wouldn't be an exaggeration. I was shocked though when I walked into the place as it was packed. Did a sneaky count while I was stretching and there were over 50 of us there. There were only 4 lb hand weights left, so I took a couple of them, but they were way too heavy for me. So I need to pick up some hand weights of my own. Not sure if it's because golfing season is over with; so that's why people start to come to the classes? Regardless I had a good time, though I was disappointed only one of the steroid ladies was there and I was behind her, so couldn't really see what she was up too. There was a couple of older gentlemen there whom I had never seen before; both probably in their late 70's to early 80's and one in particular when I saw him I said, "Oh Bless Him," to myself. He obviously didn't own any clothes to exercise in as he was wearing a pair of regular shoes, a pair of regular slacks/trousers and a very nice sweater/jumper. I couldn't see from where I was if he had a shirt and tie on underneath it, but that wouldn't of surprised me. He actually sat down for nearly all the class, but I would have given him 10 out of 10 for effort, he really did well. I too sat down for bits of the class, and I am at least 20 + years younger than him!! 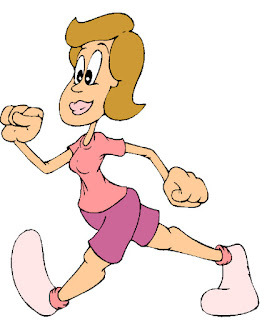 The good news was, what with my early morning walk and walking back and forward to the exercise class and doing the exercise class, I had logged in over 11,000 steps and over 90 minutes of exercise all by 10:30 am on Tuesday morning. I am getting back into the swing of walking and exercising!! I am not a vegetarian and probably never will be but, I am eating less and less meat as the years pass by. Last week I did have some bacon on a Caesar salad, but that was it. I am trying to incorporate more fibre and vegetables in my diet as the older I am getting my digestive system seems to be changing. After making my veggie and lentil curry for the past couple of weeks, I decided to make a chickpea and vegetable curry. I mean who does not love cooking a meal where all you do is cut up veggies, throw them in a pan, add some spices and other ingredients and let it all bubble away for half an hour? And the best thing of all is you can use up what you have. As you can see, I used carrots, onions, half a package of frozen spinach sort of defrosted, an orange bell pepper, a big can of chickpeas (got it on clearance for 50 cents), 1/2 can coconut milk, large can diced tomatoes, dash of olive oil and two heaped teaspoons of Patak mild curry paste, salt and pepper and the garlic from the hummus. To a lot of people this type of recipe is something they make all the time, for me it's something new and I am loving it. I made some brown basmati rice as a side just because if I give dh the curry he'll need more carbs. I will have a little rice but fill up on the curry itself. This big pan will be enough for dh and I for one nights supper and me for another three or four nights supper. I'll just cook something else for dh the other nights I am eating this; he likes his meat!!! Also with the cooler nights, this is both filling and warming for the body. That's how many steps I have done so far today at around 2 pm EST The last time I hit over 10,000 steps was back on September 11th. I have been sick or not been able to exercise much since the beginning of September. I am hoping that health wise I will be back into the swing of things soon and those 10,000 steps per day will soon become a daily thing again. 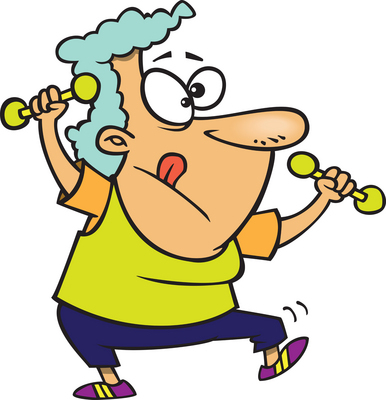 Tomorrow I will be going to the "Old Folk's Exercise Class," again. I haven't been since the end of August. I wonder if the "steroid girls" will be there? I know I won't be able to keep up with them but do know I will just do my best!!! Along with snow tires for the car, this is our Christmas present to one another!! 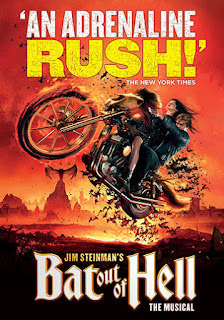 Anyone else seen this show? 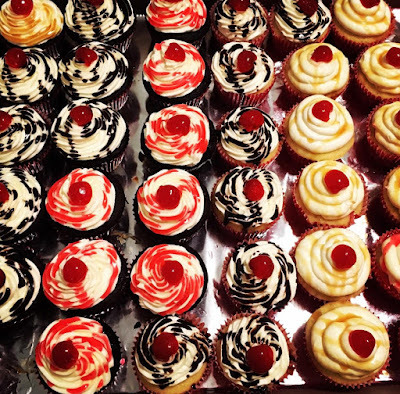 Our daughter made these for a fundraiser at work. Wish I worked there!! Had a quiet but busy weekend. My first time making curry and basmati rice.